Bengaluru, August 10: Giving a major thrust to energy security in the state of Karnataka, Chief Minister H D Kumaraswamy launched the Karnataka State Energy Calculator (KSEC) 2050, a first-of-its-kind web-enabled tool that promises to help the government attain energy security, and plan projects in the sector. Developed on the lines of the India Energy Security Scenario 2047 calculator, KSEC 2050 is created by Niti Aayog and supported by British High Commission. The tool was first developed by the UK Department of Energy and Climate Change. Karnataka now joins Andhra Pradesh, Gujarat, and Assam that have their own energy calculator. 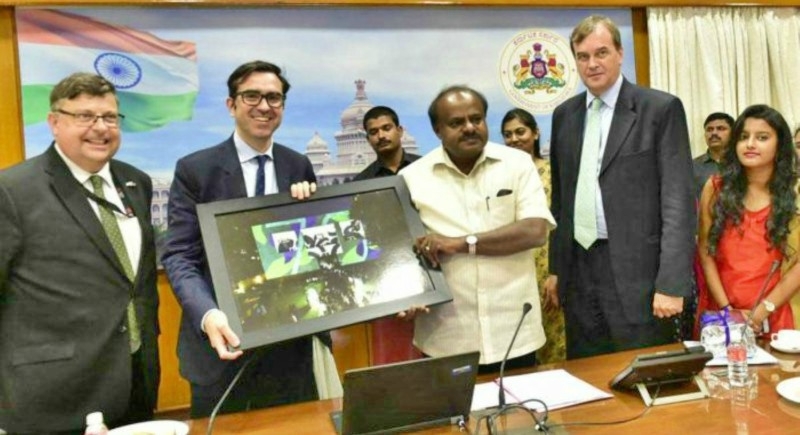 The tool is getting ready for Maharashtra and Tamil Nadu,” British High Commissioner to India Dominic Asquith is quoted as having said in a released issued by the Chief Minister’s office. Gifting scholarships as part of the British Council’s celebration of its 70th anniversary in India, CM Kumaraswamy also congratulated 15 female students from Karnataka who are among 100 female students from India selected to receive fully-funded scholarships to study science, technology, engineering and mathematics (STEM) subjects for an entire year at UK’s institutions.